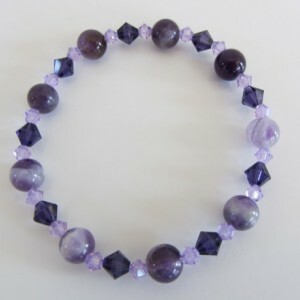 7.5" stretchy bracelet comprised of genuine Swarovski cubed crystal beads in clear and light amethyst, with rhodium plated squaredells & genuine sterling silver diamond cut swirled round beads and sterling silver toggle. This bracelet is a real eye catcher due to all the crystal beads and the cut sterling silver balls. 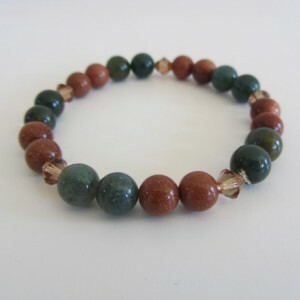 The toggle is just a fun twist since it is a stretchy bracelet. It is truly a regal accessory to any wrist! !